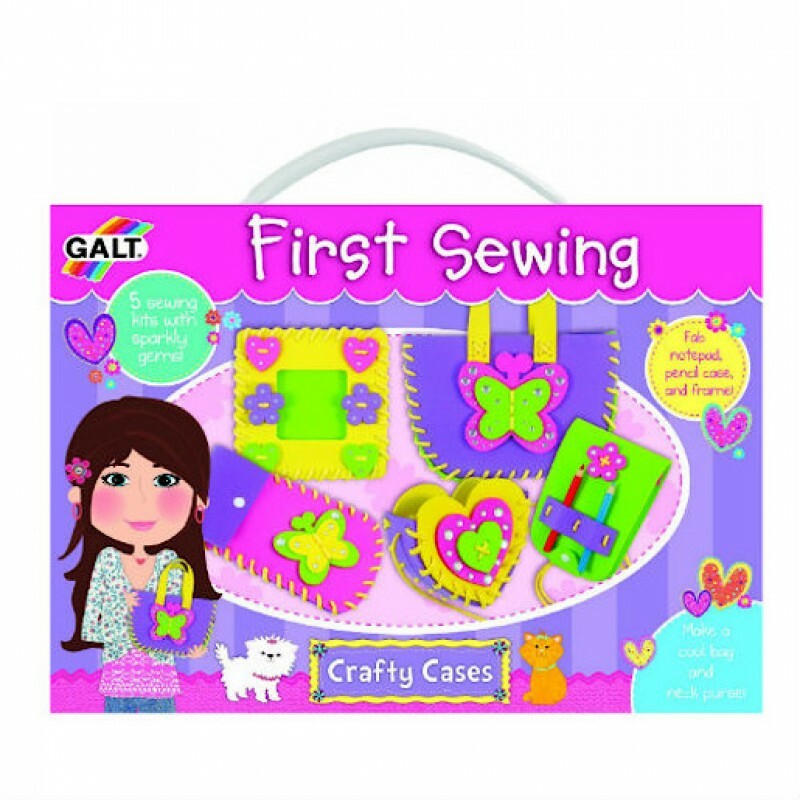 Learn to sew with the Galt First Sewing set using safe plastic needles. 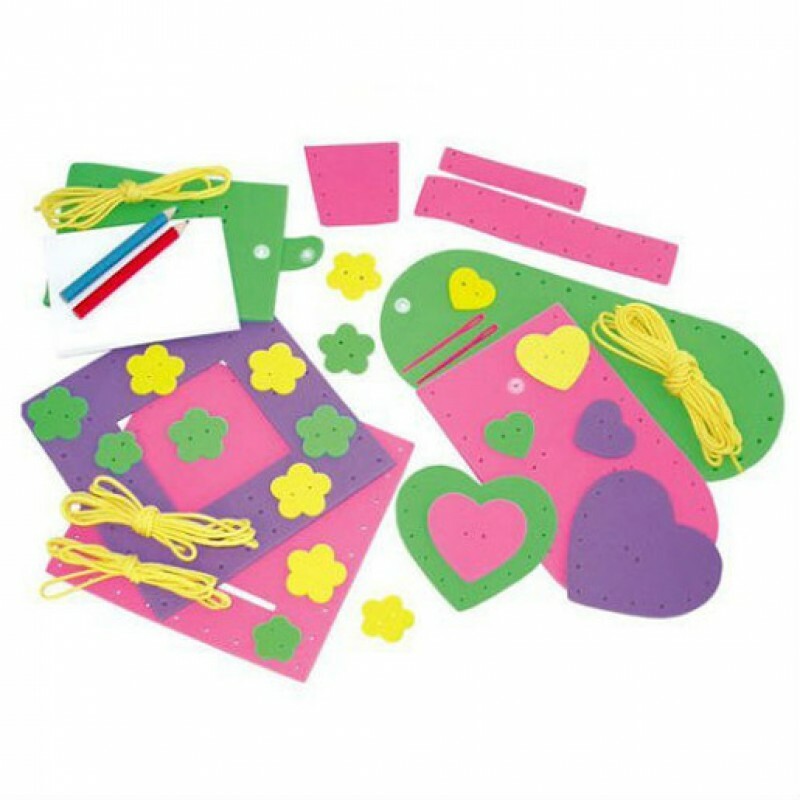 A great introduction to sewing, use the pre-cut foam pieces to stitch together a neck purse, picture frame, notepad cover and pencil case. 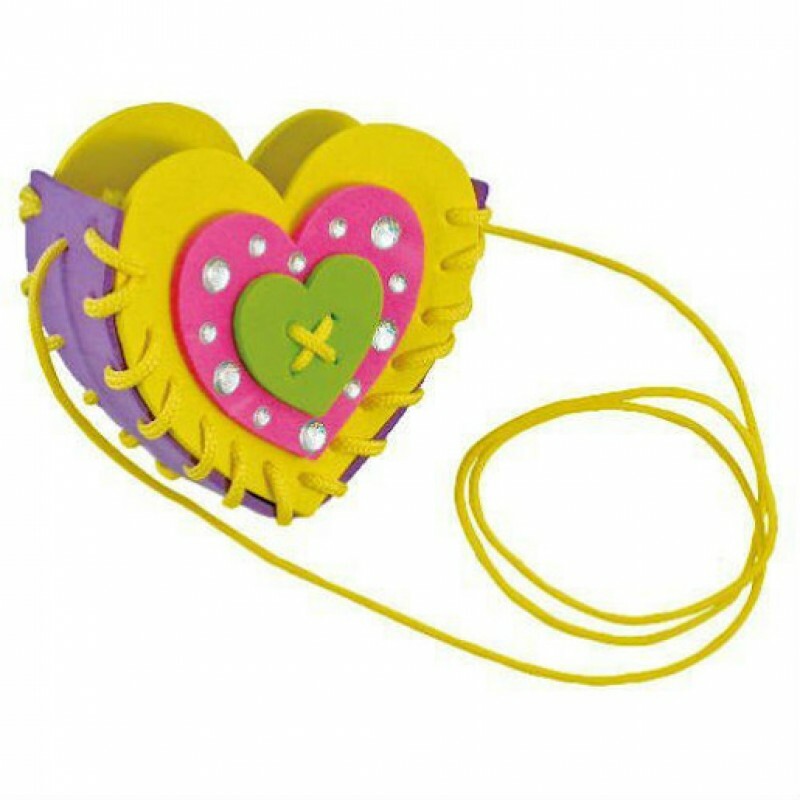 Perfect for encouraging creativity in children aged five and up.